Whitworths are the leading company in dried fruits, nuts and seeds within the UK. They produce snacks with different variations of these raw ingredients to delight all of our taste buds. Having been founded in 1886 by three bothers - John, Herbert and Newton Whitworth - Whitworths was originally a milling company, supplying flour to local bakeries. In fact they did this so wonderfully that in 1971 they were awarded the Royal Warrant by Queen Elizabeth the Queen Mother and then again in 1974 by Queen Elizabeth II. Royal flour produced by the best. 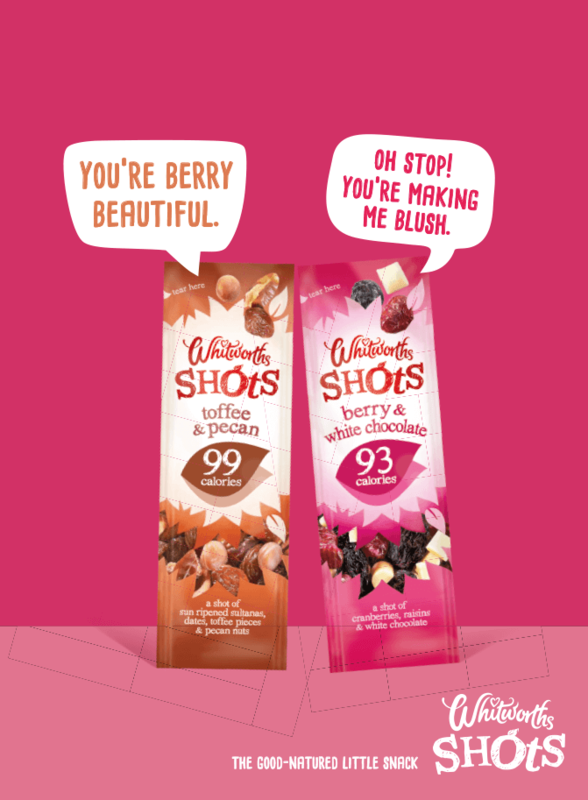 Whitworth Shots are 25g snack packets of different combos of dried fruits, seeds and nuts. Due to their bag size, they are perfect for those impulsive moments when the hunger grumbles strike. They are also absolutely delicious. with each pack being 25g and under 100 calories per shot. We deliver these shots within the Office Pantry snack packs on a rotating basis. Remember that, as a customer, you can tailor your contents by giving us your feedback.